VGRequirements Forums - View Single Post - EA Week on Steam!!! 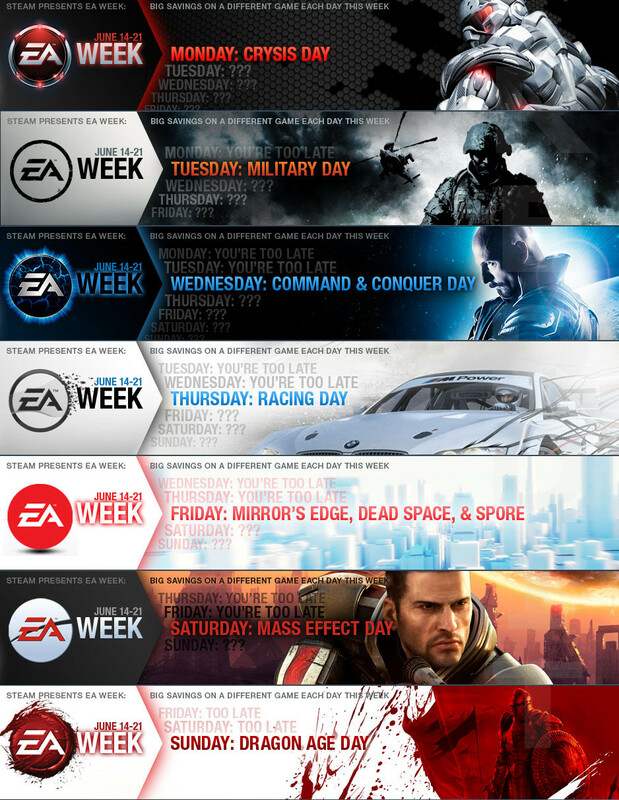 Thread: EA Week on Steam!!! And i found out something about these deals on the steam forums..
That's a very useful link, thanks for sharing it to us. It's a perfect time to buy BFBC2 with the Vietnam DLC coming out soon. MoH looks nice, but I don't know if I'm going to buy it. By the time it gets released, I might buy a PS3 and play it on that.